The Sammy Ofer Wing is situated inside a sensitive World Heritage Site and it is surrounded by characteristic architectural buildings of 17/18th century in the UK. 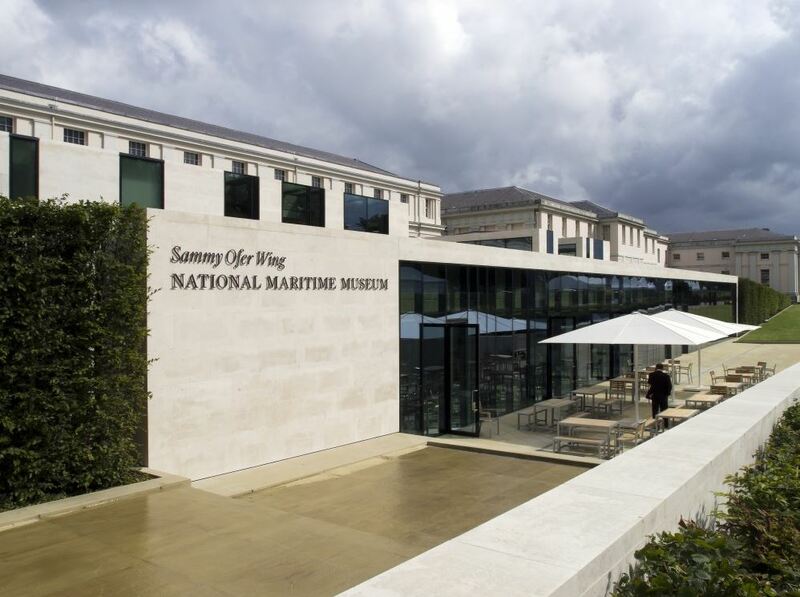 The building arrange for a new main entrance, gallery and archival facility for the National Maritime Museum. The landscaping of the new entrance of the Museum,-although it is a small scale project – is an example of a contemporary project in a historic area. 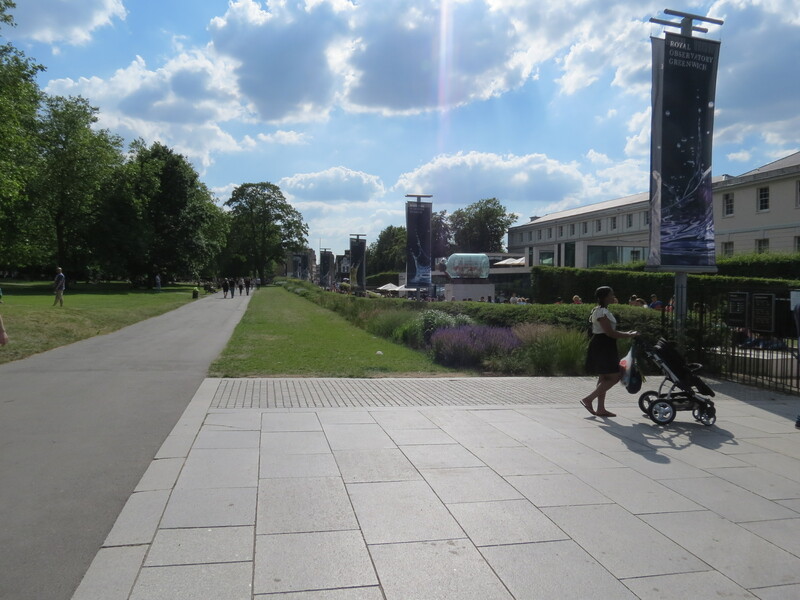 The open space is designed to improve the connections between the park, the Royal Observatory, and the rest of the Maritime Greenwich World Heritage Site. 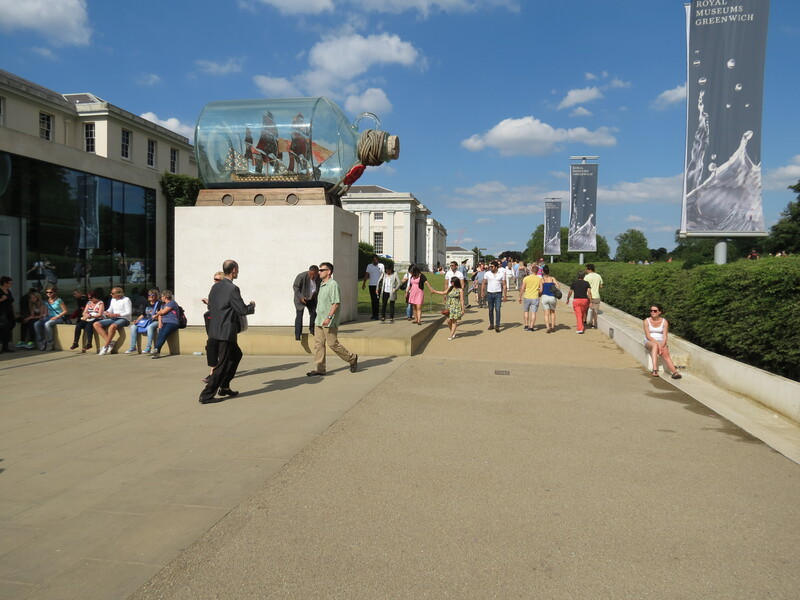 The strong east-west axis that connects the Sammy Ofer Wing, Greenwich Park and the Queens House work well in directing visitors into the museum site. The low profile building, designed in geometric lines, -with the most part of it being situated beneath the earth- is covered with trimmed hornbeam trees, which form the sections of the building frontage so that is blend with the park landscape. The landscape sweeps down from the park levels to the entrance which is set in lower level and planes of grass and paving slope to the doors. Α herbaceous border which run the full length of the Museum site separates the park from the exterior space of the entrance. 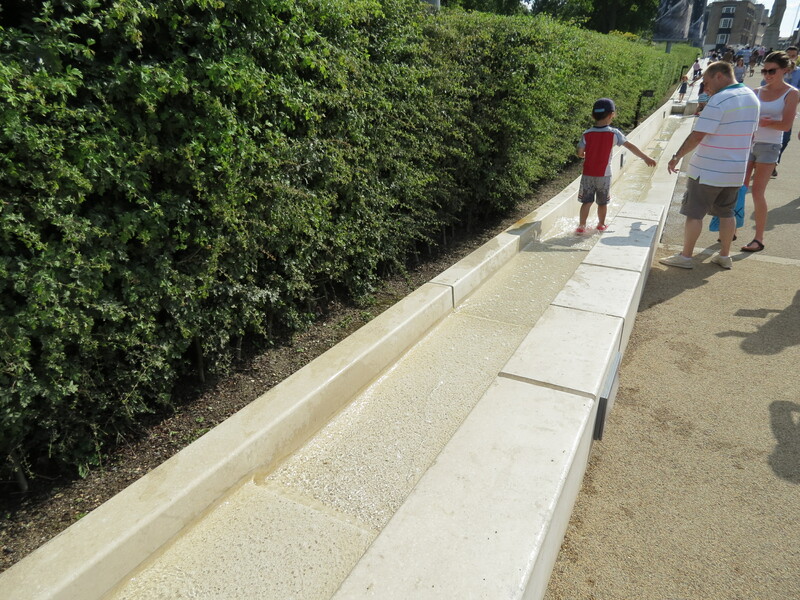 The most interesting thing about visiting this site is the water feature, which runs the length of the boundary and the other one, the water steps, composed by three broad sheets of shallow water that run down to the main entrance doors. The sound and the feeling of running water, work well in creating a sense of the place and also prefigures and is totally relevant to the theme of the museum. There are various views on how integration and enhancement of historical sites in the modern landscape design. They range from the absolute respect of the place with a new kind of subordination landscaping in the historicity of the former, together with a marked tendency mimicry, mainly morphological level, up to search a more free and creative approach to design, without hesitating to suggest original forms, construction and materials for the new operation. In this project I think they’re shown intermediate views, trying to act as a balance of the relationship between the old and the new, historic and modern, past and present.